We've compiled our popular PDF guides that cover Essential Pregnancy tips, your Hospital Bag Checklist, Postpartum Body and Recovery and beyond! If you've been trying to get pregnant for any length of time, you've probably tried natural fertility supplements and read many 'how to get pregnant' blogs. But now that you've seen those two little lines on the fertility test and it's official that you're pregnant, you may not know what to do first! 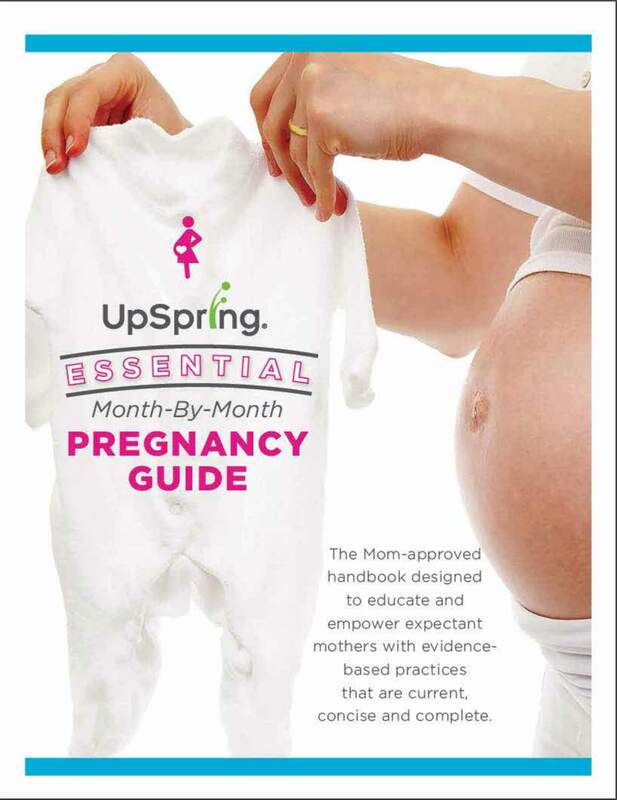 That's why we created the UpSpring Essential Pregnancy Guide PDF to help you navigate the next 9 months of pregnancy with ease, feeling educated and confident as you get ready for your baby's arrival! Are you getting ready to give birth? ...the third trimester is the best time to start getting ready for giving birth... "What do I pack in my hospital bag?" We've compiled a list of essential items for your hospital bag -- Download the PDF hospital bag checklist! If you're a new mom or you are looking for the best gifts for new moms, you'll find this product round up for first time new moms helpful, especially, if you're struggling with gift ideas for the baby shower party you've got on your calendar. For the most part, babies don't need a lot of 'stuff,' but the tired, exhausted, new mom definitely will! Read the list of ultimate baby shower gift ideas now! If you’ve tried everything on this list and nothing seems to give you relief, remember being uncomfortable during pregnancy is totally normal and your pelvic and hip pain won’t last forever. Here are 7 easy ways to minimize your discomfort. Preparing for birth and not sure what to pack in your hospital bag? We've got you covered! Symptoms of early pregnancy might seem like minor discomforts to some and humorous . If you're asking the question "How can I tell if I'm pregnant?" 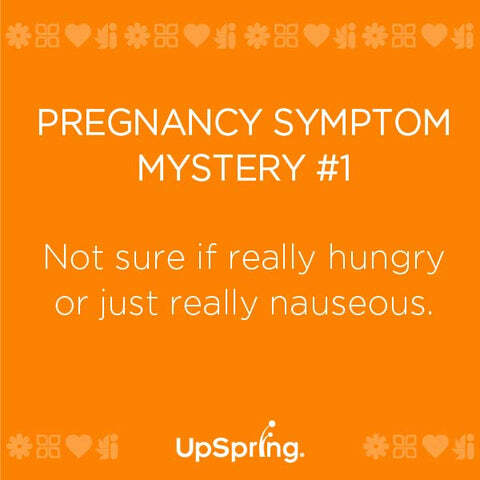 then you'll want to read our "Mysterious Pregnancy Symptoms." It’s estimated that one in 33 babies are born with a birth defect and with the right nutrition, many of these birth defects are preventable. Specifically, vitamin B9 has been clinically shown to prevent neural tube defects (NTDs), which are birth defects that affect the spinal cord and brain development. But which version should you take, folic acid or folate? What’s the difference and what are the risks to you or your baby if you don’t get enough? What do the best prenatal vitamins contain? Not all prenatal vitamins are created equal and when choosing the best prenatal multivitamin, your baby’s brain and cognition later in life is impacted by these two vital nutrients which are imperative in preventing neural tube defects (NTDs) and promote a smart baby through improved fetal brain development. When it comes to getting pregnant with polycystic ovarian syndrome (PCOS), there are no shortage of articles on the topic. If you’re one of the 5 million women who experience symptoms of PCOS, you know there are articles ranging from how it’s not possible to get pregnant with PCOS all the way to those that claim they have the exact formula to get pregnant fast, despite the complications of this hormonal disorder that causes cysts along the edge of each ovary. When you’re looking for ways to get pregnant fast, there are so many questions and all of these articles seem to have conflicting information. When it comes to the best ways to get pregnant, there’s no shortage of possibilities, stories and hail-marys it seems. But how do you know what will really work for you? Is there a process to follow or a standard to find a way to get pregnant that has the highest rate of success? It’s a daunting, emotionally-challenging task, especially if you have been trying to get pregnant for any length of time without success. If you have morning sickness, you're not alone. Approximately 70-80% of pregnant women experience some type of morning sickness (nausea, vomiting, digestive upset, fatigue or heightened sensitivity to smells.) In fact, morning sickness or a feeling of queasiness is the first symptom for many women.